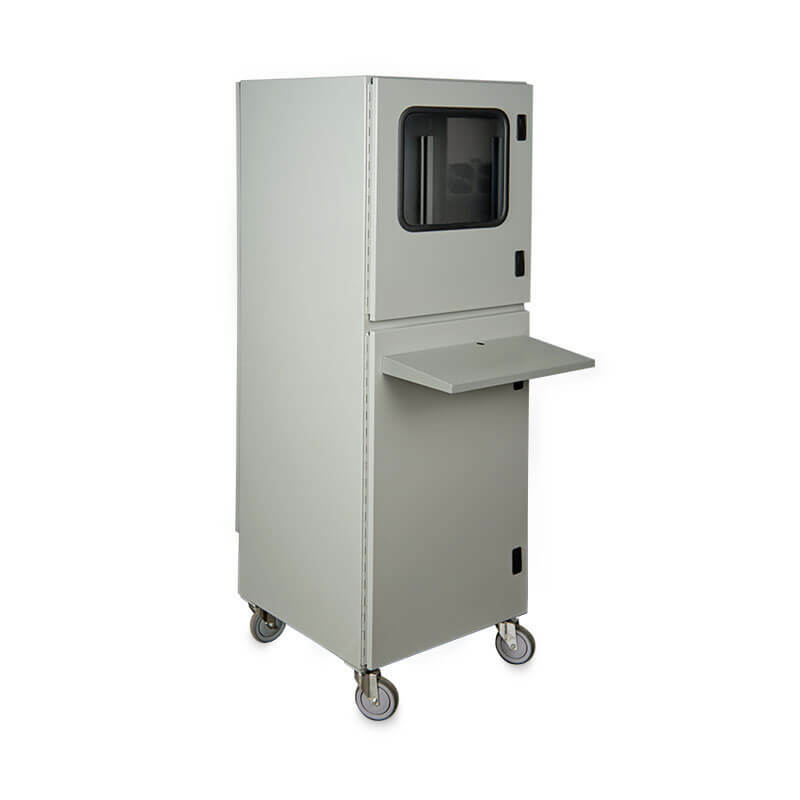 EIC’s Protector™ Series Workstation Enclosures offer full protection to lock out harsh environments. These rugged, industrial grade cabinets include plenty of room for monitor, computer, and keyboard plus electronic equipment and/or a printer underneath (54″ and 70″ only). Slide-out and rigid-mount keyboard configurations are available and a cooling system can be added when required. Unit is shipped as a complete package with no assembly required.